Fit all of your fresh and frozen favourites without sacrificing any space with the 28-inch wide top-freezer refrigerator with 14 cu. ft. capacity. Enjoy quiet cooling with improved design and ice cold temperatures inside with freezer temperature controls. And you'll always have plenty of ice on hand with the optional icemaker in the top-freezer refrigerator. 33-inch W 21.2 cu. 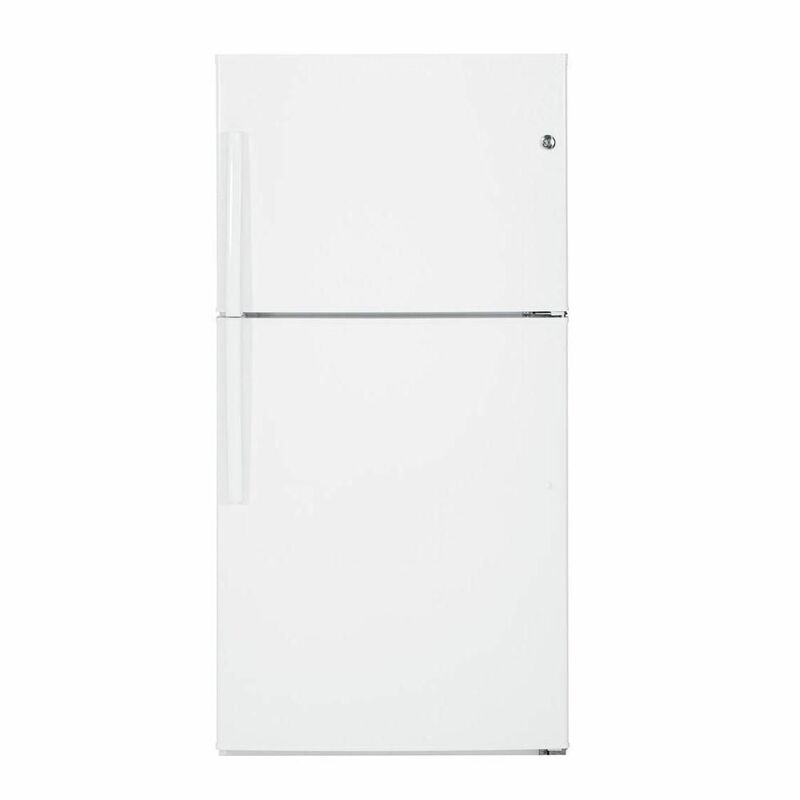 ft. Top Freezer Refrigerator in White - ENERGY STAR® Your GE ENERGY STAR 21.2 cu. ft. Top Freezer Refrigerator in White easily accommodates gallon storage. This Frost Free refrigerator is icemaker ready for the IM4D optional ice maker sold separately. The Deluxe Quiet Design and Never Clean Condenser allow for complete ease of use. Easily reversible door hinges lets you set up your refrigerator for the best use. 33-inch W 21.2 cu. ft. Top Freezer Refrigerator in White - ENERGY STAR® is rated 3.7 out of 5 by 331. Rated 4 out of 5 by HomeDepotCustomer from The size is very good .... The size is very good .